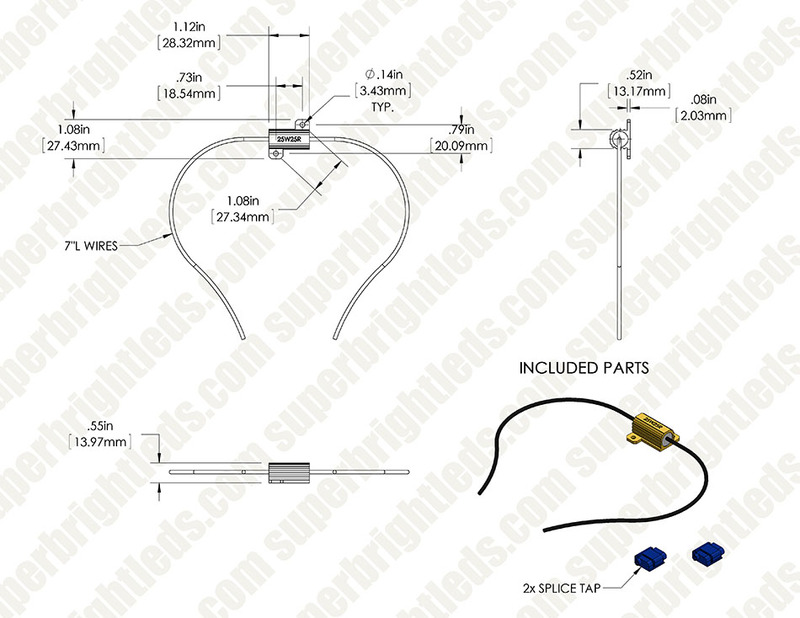 25 Ohm, 25 Watt load resistor kit for mini wedge base bulbs or any sidemarker LED lights. 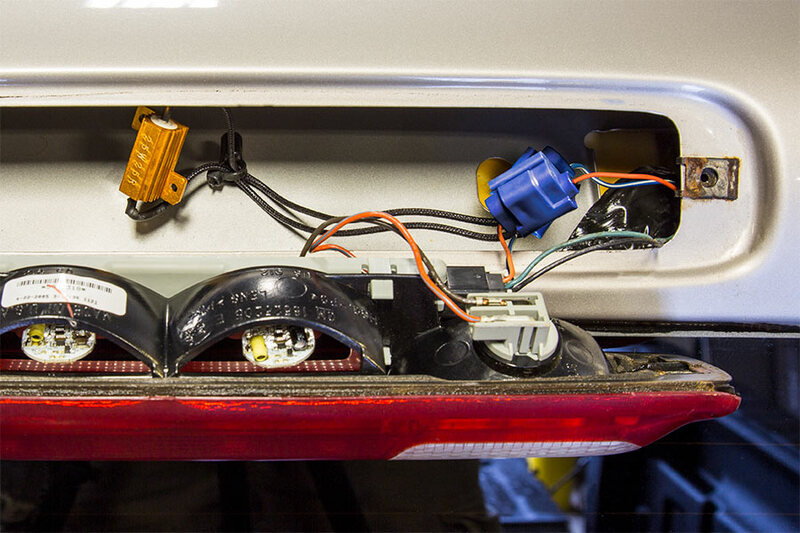 Connect one across each LED marker light to resolve bulb-out warning indicator problems. Use the Flasher Selection Guide to determine the correct Flasher Relay for your vehicle. Not much to say but that it works as advertised. I used them with the LED "bulbs" on the tail/turn lights on our VW Routan. Made the LEDs flash normally. These babies get very hot! I opted to mount these on a perforated circuit board. Then purchased some Posi-Taps to tap into the wiring harness. Some bulbs (Brake Light) required 2 resistors in parallel. All i can say is...to simulate a 25 watt load on a 12 Volt circuit you need a resistance of 5.76Ohm. So um......idk. A 25 Ohm resister presents a 5.76 Watt load. But i love SBL!!!! This product is not designed to mimic a 25 watt load. It is meant to satisfy the computer's load sensing circuit. In most cases, 5.76 watts is enough to resolve the error code caused by using LED bulbs in palce of the 5 to 25 watt incandescent bulbs used in locations such as markers, running, stop and turn lights. 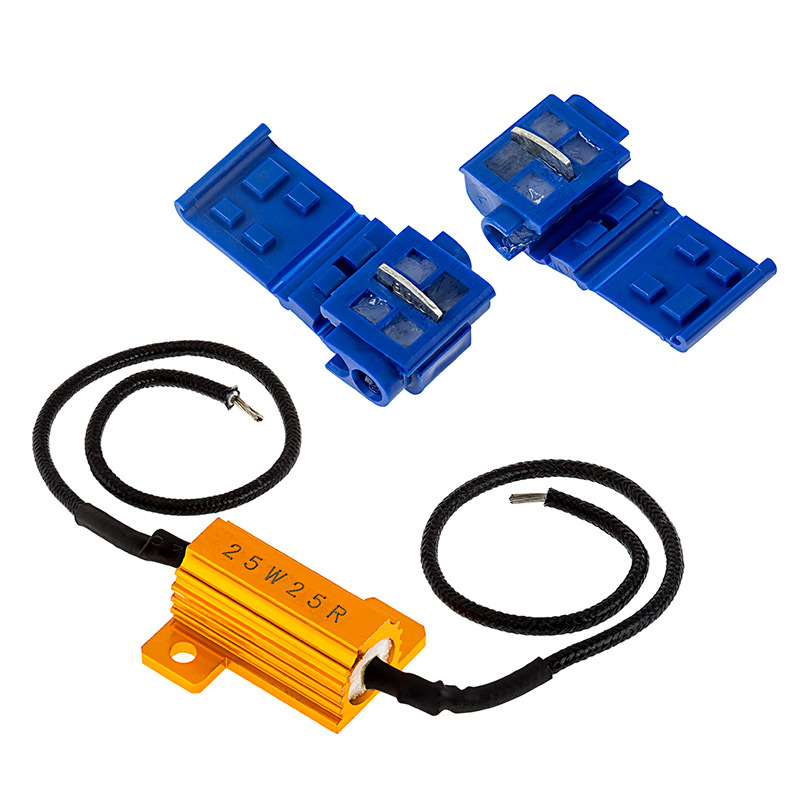 If you require a 25 watt version, we suggest the RL-650-K Resistor Kit. After installing Part Number: LSC-100A in my 2016 Dodge Ram 1500. I was getting the dreaded tail light bulb out indicator on my dash. I installed the RL-2525-K on the third brake light and it cleared the bulb out indicator. Thank You. Very easy to install.